1 Tbsp powdered sugarTo make the crust:1. Preheat oven to 350 degrees. Grind wafers, butter, sugar and salt in a food processor until combined. 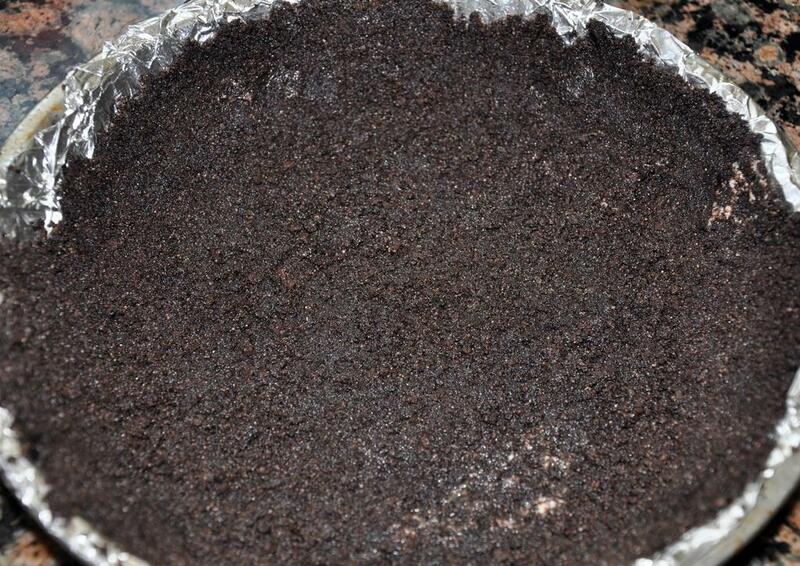 Pat mixture into a 9" pie pan, pressing firmly into the bottom and up the sides. Bake about 10 minutes, until crust darkens slightly and it becomes fragrant. Let cool completely on a wire rack.To make custard:1. 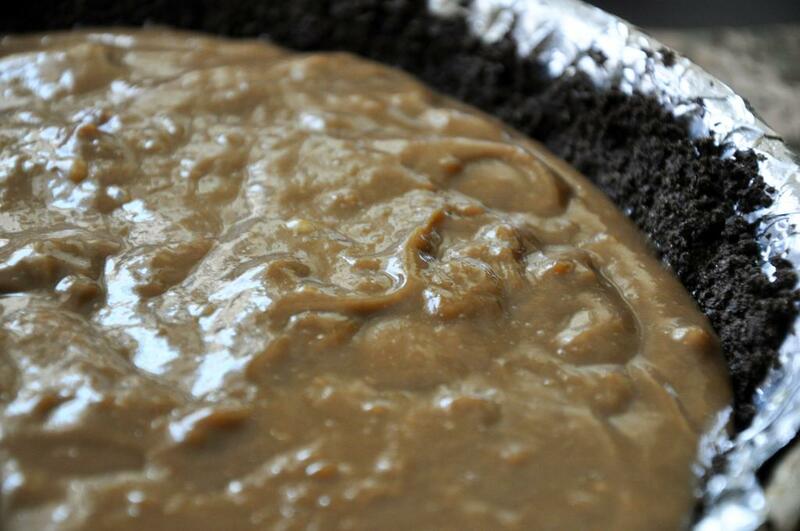 While crust cools, combine sugar, cornstarch and salt in a medium saucepan. 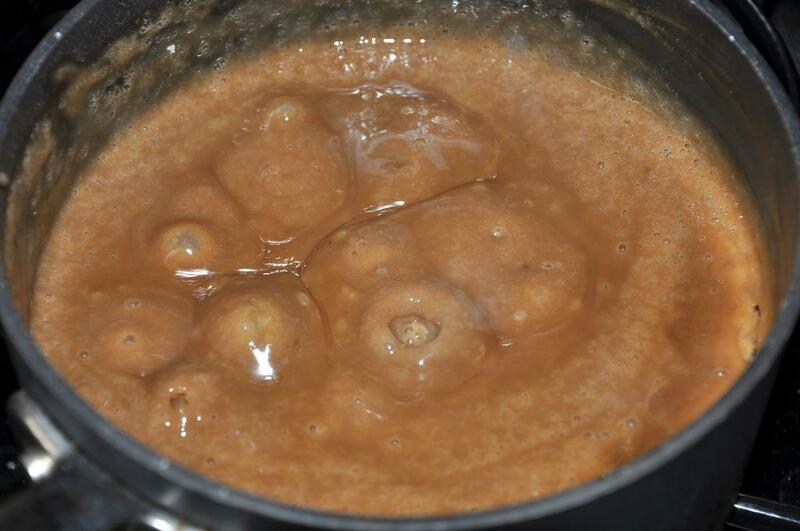 Whisk in milk, 2 Tbsp espresso powder and cook over medium-high heat, stirring almost constantly, until mixture starts to thicken and bubble, about 7 minutes total (let boil for the last two minutes). Remove mixture from heat. Pour whisked yolks in a slow, steady stream until incorporated. Return mixture to medium heat and cook, stirring constantly, until it boils. 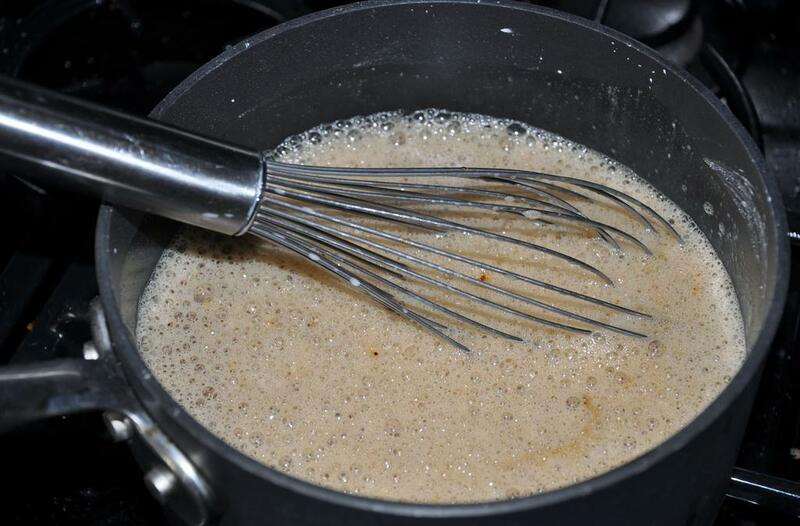 Remove from heat and stir in coffee liqueur, vanilla and butter until well combined. Let custard cool in the saucepan on a wire rack, stirring occasionally, for at least 10 minutes. Pour custard into pie crust. 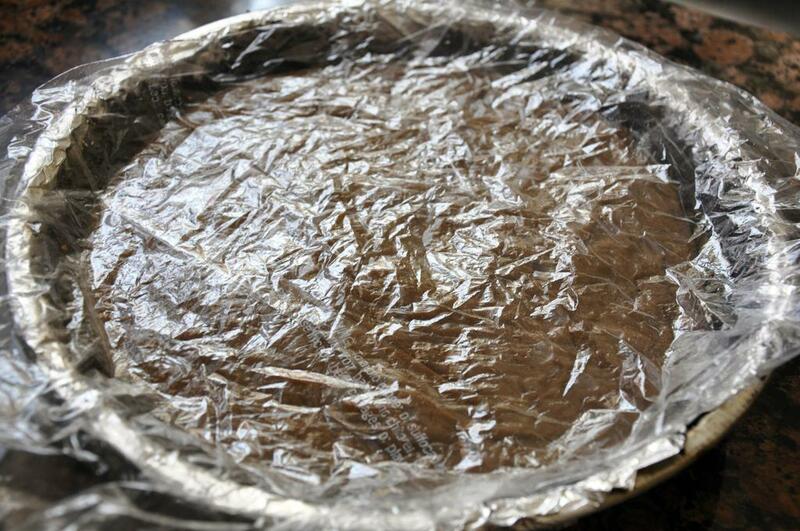 Press plastic directly on the surface so a pudding skin does not form while it chills. Refrigerate at least 4 hours or overnight until custard is firm.To make cream topping:1. 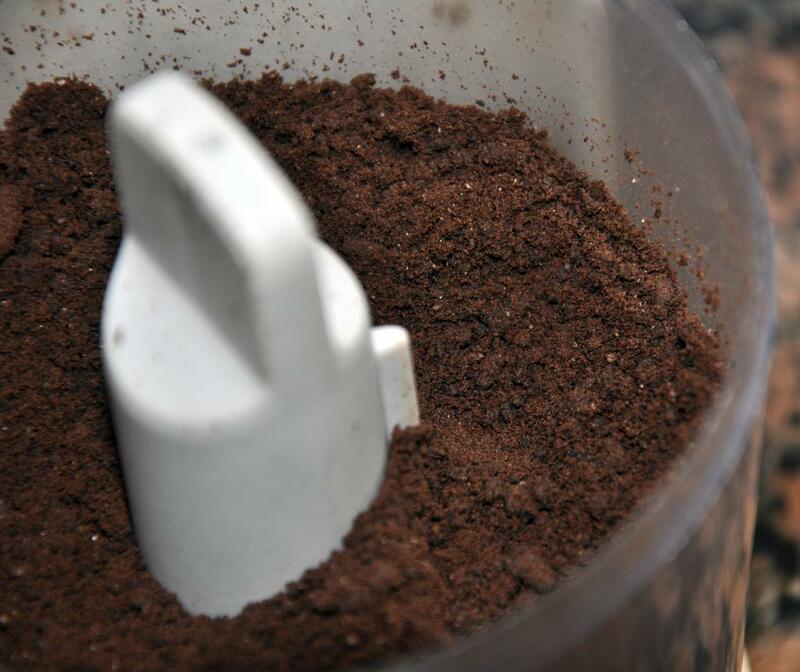 Crush espresso beans with the back of a knife or pulse slightly in a food processor. 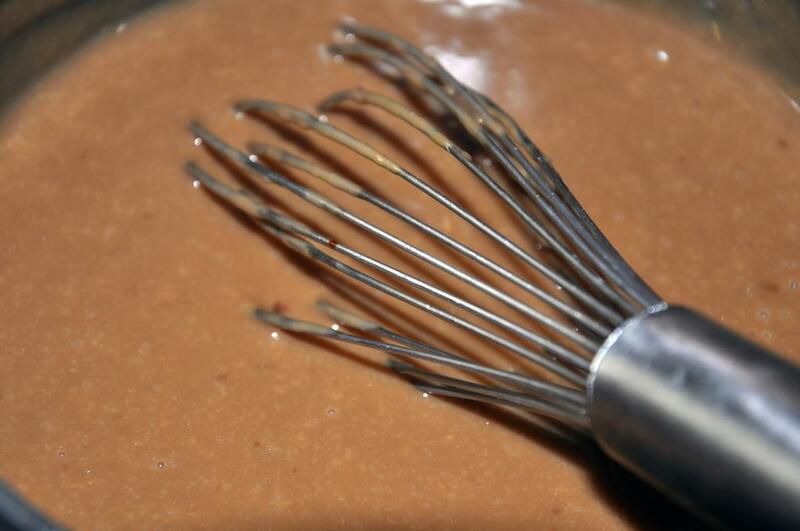 Whisk together half and half, powdered sugar and last teaspoon of espresso powder until stiff peaks form. If it doesn't come together, try whisking in the reserved eggs whites at room temperature. 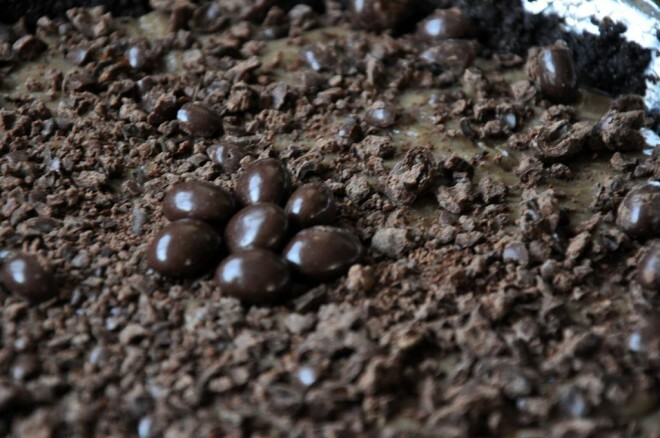 Fold most of the espresso pieces into the cream, reserving a tablespoon or two.